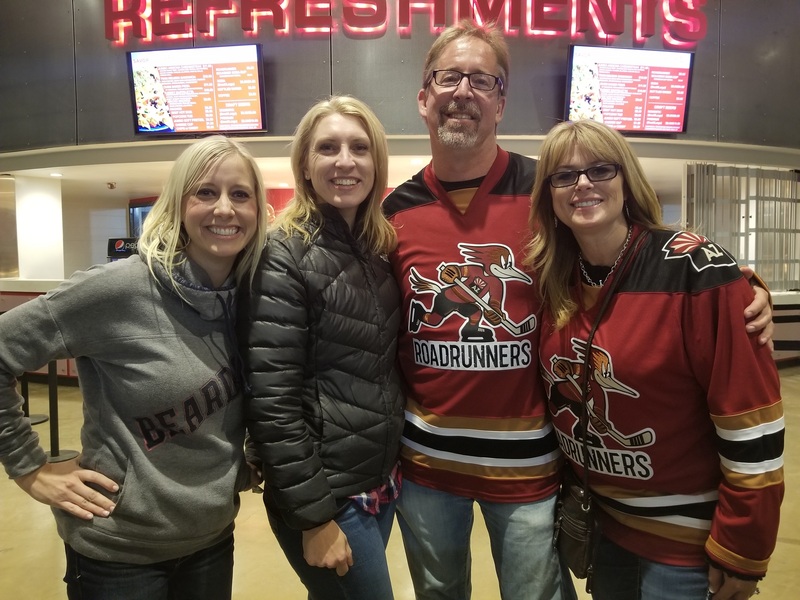 We had a great time at the Tucson Roadrunners hockey game! 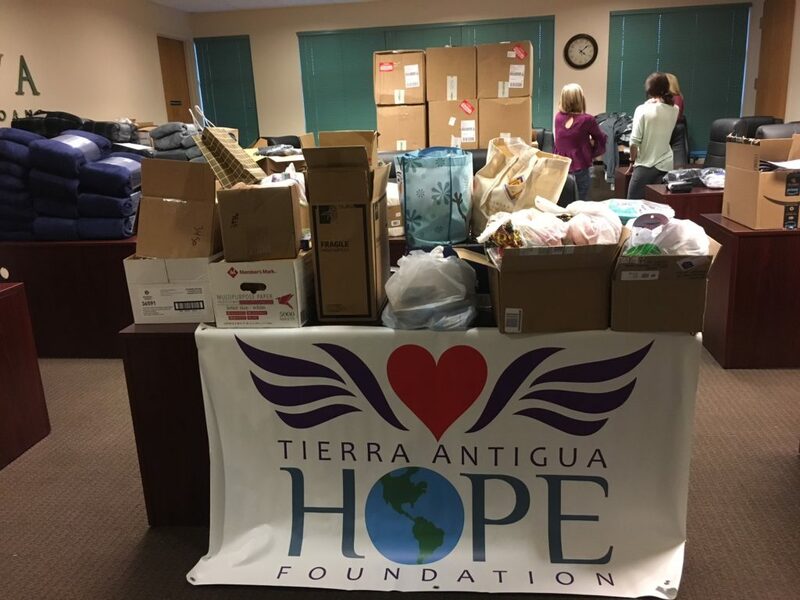 HOPE Foundation’s Coat Drive has officially begun! 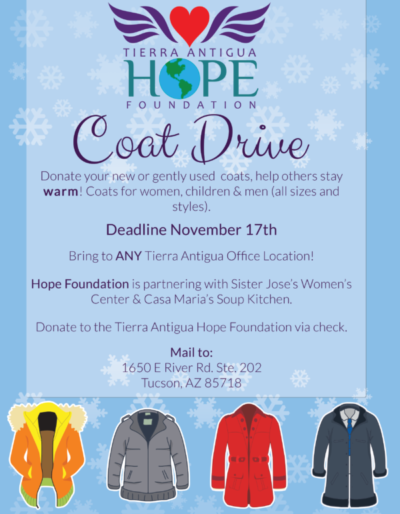 Donate new or gently used coats to ANY Tierra Antigua office location by November 17th. 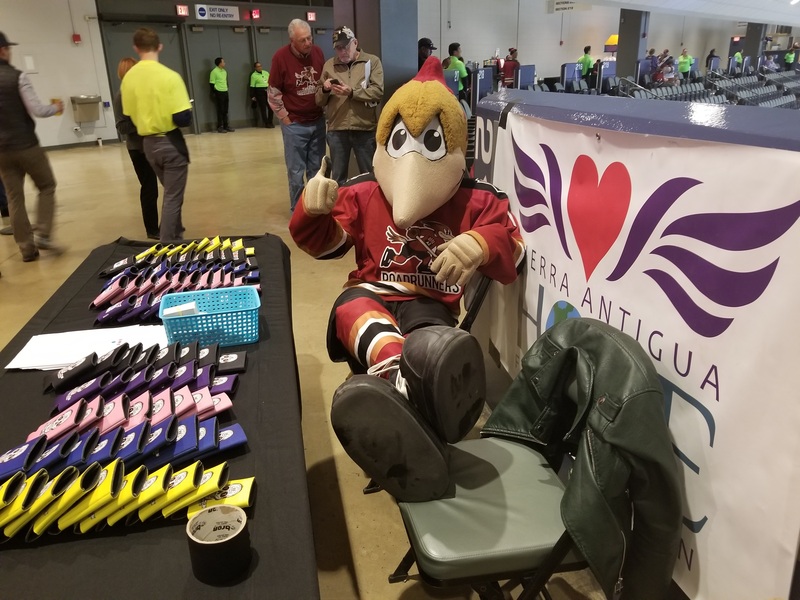 Let’s come to together and help others stay warm this holiday season! 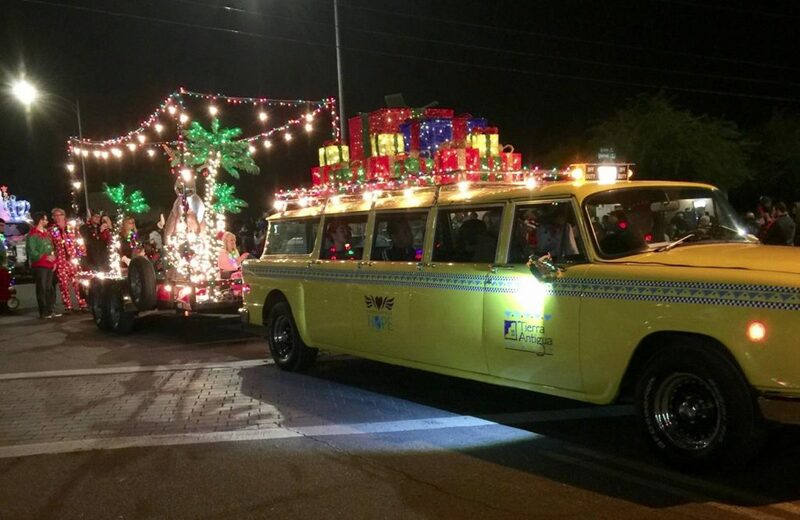 Tierra Antigua Hope Foundation had a great time at the Parade of Lights in Downtown Tucson! We went all out decorating the Checker Aerobus and towing Rudolf the red nose raptor. 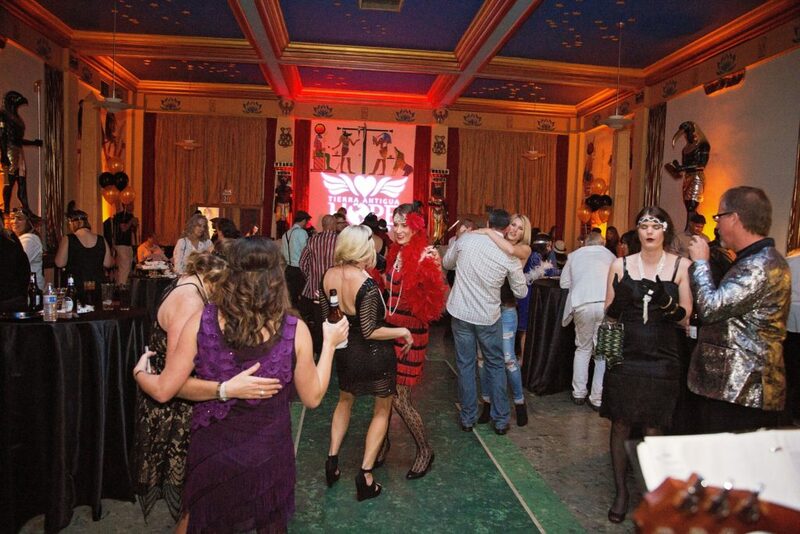 Keep an eye out for more pictures from the staff photographers that were working the event! 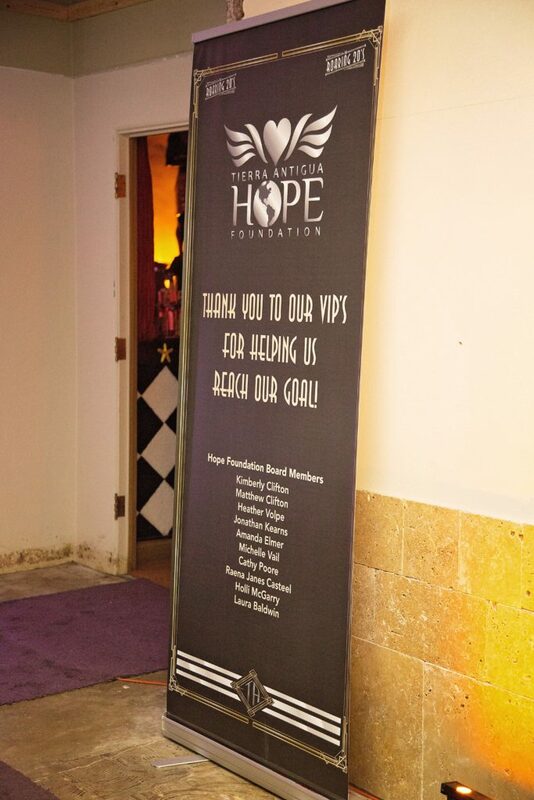 Welcome to the Hope Foundation Blog! 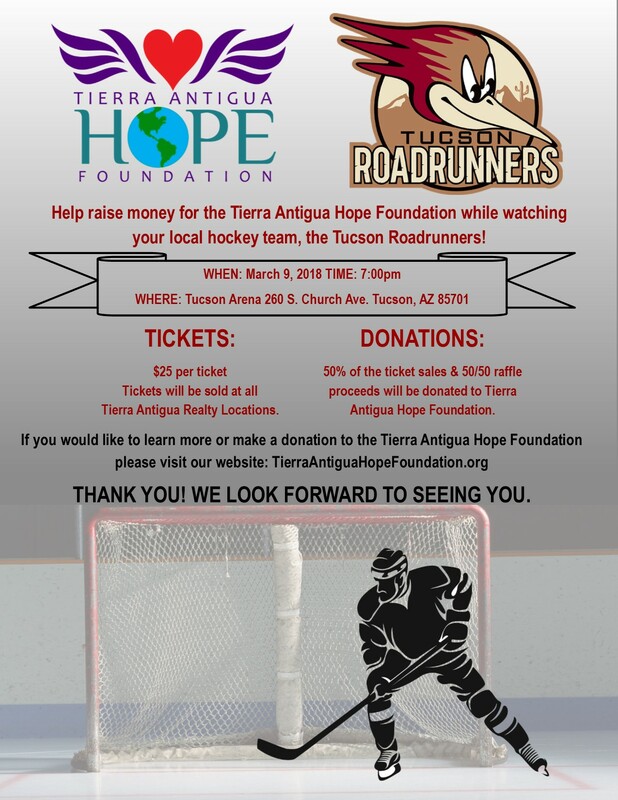 We will be updating this blog with our events and news about the Hope Foundation!